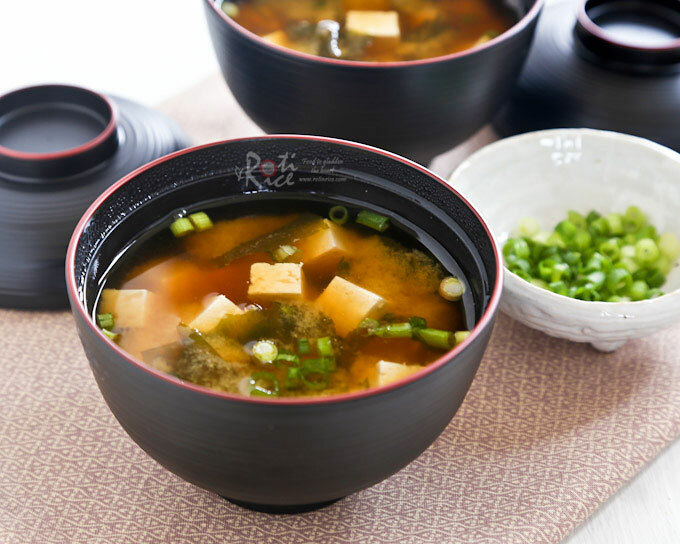 Quick, easy, and tasty Miso Soup with wakame (seaweed), tofu, and green onions. Step-by-step instructions included for homemade dashi stock in related post. 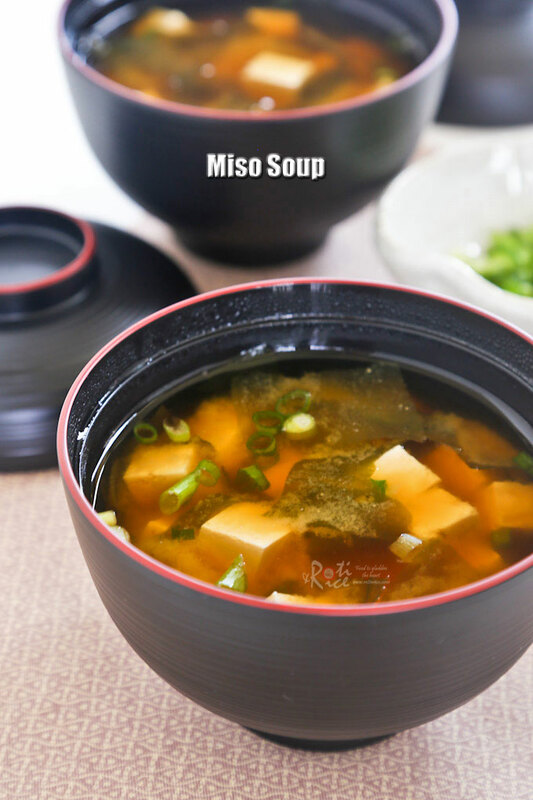 Miso Soup is my go-to soup as it takes only minutes to prepare. Only a handful of ingredients are needed and I almost always have them in my refrigerator and pantry. 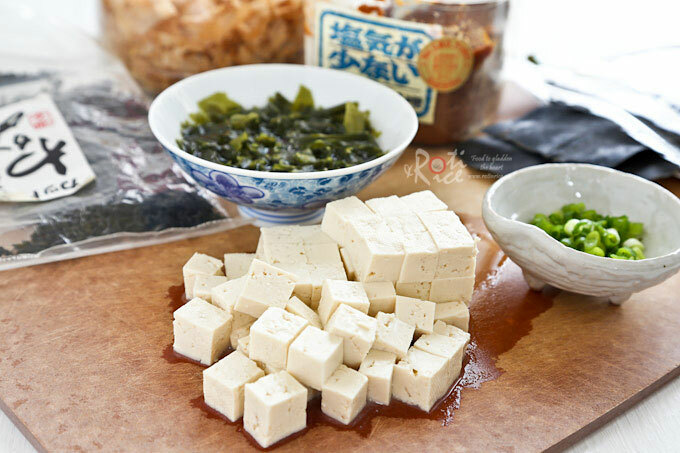 While wakame (seaweed) and tofu usually appear in classic miso soup, other ingredients like daikon, carrot, mushrooms, potatoes, squash, and baby clams may be added. A good soup stock is the foundation of a delicious soup. In the case of Miso Soup, it is the dashi stock. Nothing beats homemade dashi stock which takes only minutes to prepare, unlike other soup stocks. The only down side is the expense as kombu (dried kelp) and katsuo bushi (shaved dried skipjack tuna/bonito flakes) can be costly and depending on where you live may not always be easily available. Purist frown upon it but instant dashi may be an option. I use both. 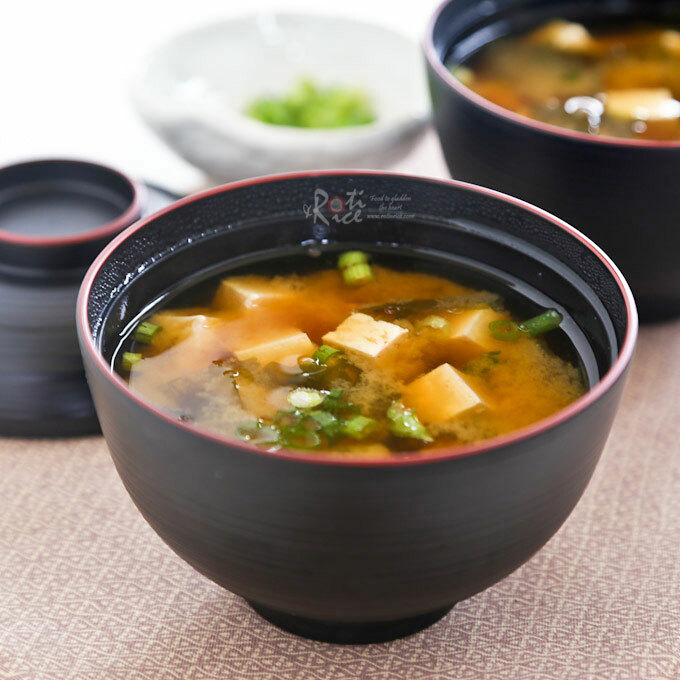 Miso, on the other hand is widely found these days because of its touted health benefits. Here in North America, there are three types of miso available – shiro (white), aka (red), and awase (mixed white and red). Do check the lables as some even come pre-mixed with dashi. Shiro miso is the most popular as it has the lightest flavor. Awase miso is a happy medium but you can always mix your own in whatever ratio you prefer. Always start with a 1:1 ratio of white and red and go from there. How much miso should I use for my soup? A good rule of thumb (which works for me) is a tablespoon of miso to a cup of dashi stock. Since miso is pretty salty, you may want to adjust it to your own liking. 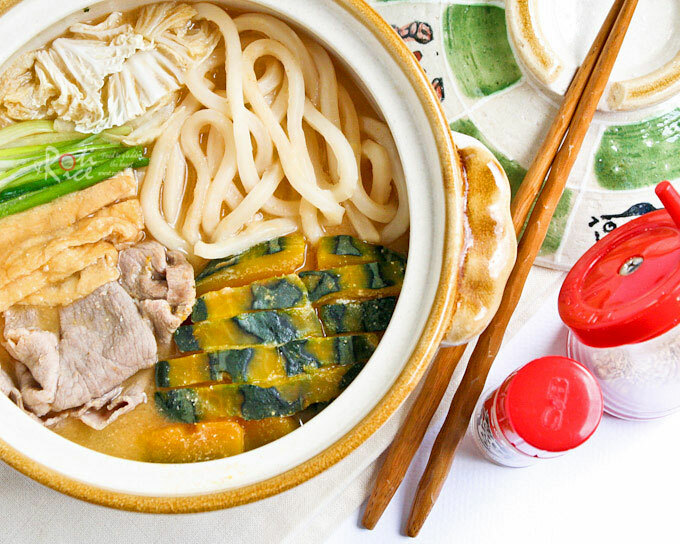 For step-by-step instructions on preparing homemade Dashi Stock, please refer to my Oden post. Soak wakame in a bowl for 10 minutes. Drain. 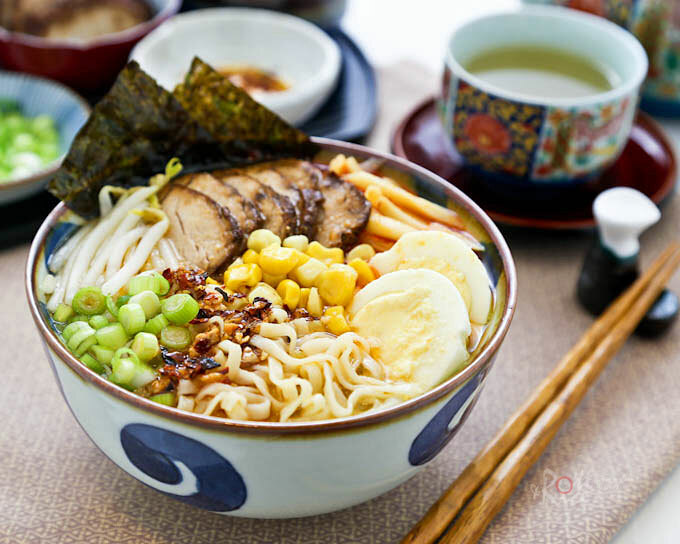 Place miso in a bowl. 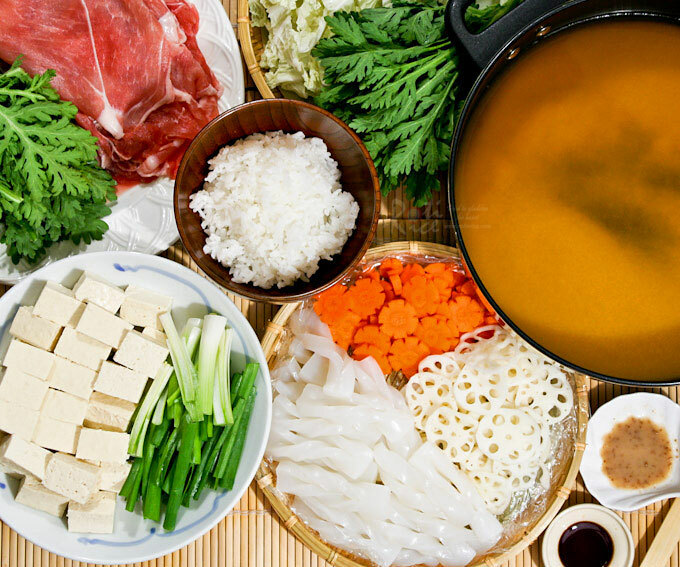 Bring homemade dashi in a medium sized saucepan to a boil. Scoop up about ¾ cup (180ml) boiling dashi and pour it over miso. Mix with a fork until miso dissolves. Add tofu and wakame to the sauce pan. Bring it back up to a boil. Pour dissolved miso back into the saucepan. Turn off heat just before soup comes back up to a boil. Serve in individual bowls sprinkled with sliced green onions. 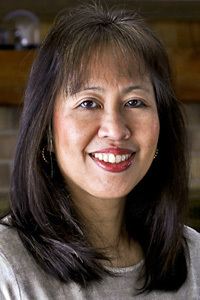 Be sure to check out the other Miso Soup recipes on this blog. Please click on the link or image to view recipe. I love making Miso Soup when it gets cold outside. I can’t wait to give this one a try!